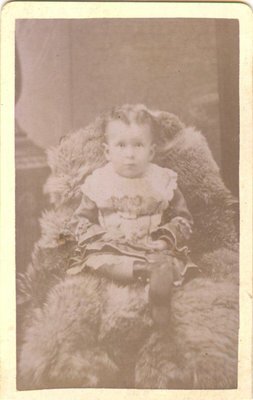 A photograph of a little girl from the photo album of Amos Wright, resident of Richmond Hill. Photographer Robert Newberry is listed as operating in Aurora from ca. 1882-1906.